Information on how to get to Luther Seminary, and what services we offer to provide access to the library and resources. 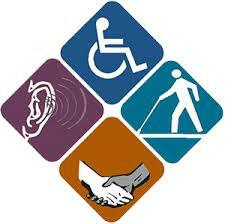 We support the Americans with Disabilities Act (ADA). We hold two major collections: Region 3 of the ELCA, and the archive of Luther Seminary (and its precursors, Augsburg Seminary, the Hauge Synod School, Red Wing Seminary, and Northwestern Lutheran Theological Seminary). Consortium members: Bethel Seminary, Luther Seminary, Saint John's School of Theology·Seminary, The Saint Paul Seminary School of Divinity, and United Theological Seminary of the Twin Cities. The MTLA (Minnesota Theological Library Association) facilitates cooperation and collaboration among the Consortium schools. Together we hold over 775,000 volumes representing about 350,000 unique titles. Learn about our special collections: catechisms, hymnals, microforms and rare books. Location: The main level of the library is on the second floor of Gullixson Hall. Our spacious reading room has large tables and individual study carrels, with wireless internet access. Collections: These number more than 230,000 items. In addition to a depth of traditional print and audiovisual resources, the library also contains a growing collection of material in electronic format, both indexes and full-texts. The book stack tower contains six levels of books and two of bound periodicals. For more information, please review our current Collection Development Policy. Public computers are located in the library periodical room. Log-in information is available for guest patrons. There is one computer with Adaptive programs for users with low vision and other special needs. Two computers have Luther's Works, The Book of Concord, and resources for learning Hebrew. Group Study Room: Reserve this room for small group sessions. Study Carrels: Semi-private carrels are located on stack levels 2-8. Contact us to reserve one. MTLA Consortium: Beyond our library, a Luther Seminary student has direct access to more than a half million volumes through the libraries of the Minnesota Consortium of Theological Schools: Bethel Seminary, Ireland Library of the Saint Paul Seminary, and United Theological Seminary.